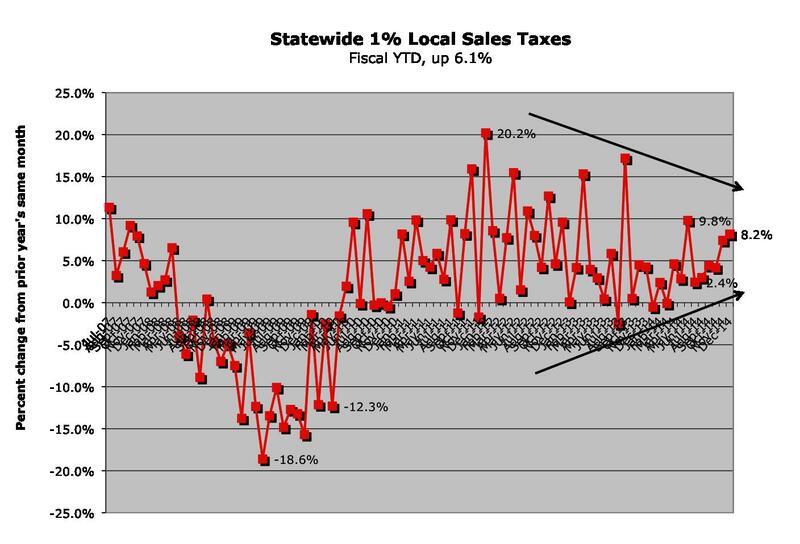 Following four months of 2% to 4% growth, November and now December’s 1% sales tax distribution escalated to 7.4% and 8.2%, respectively. 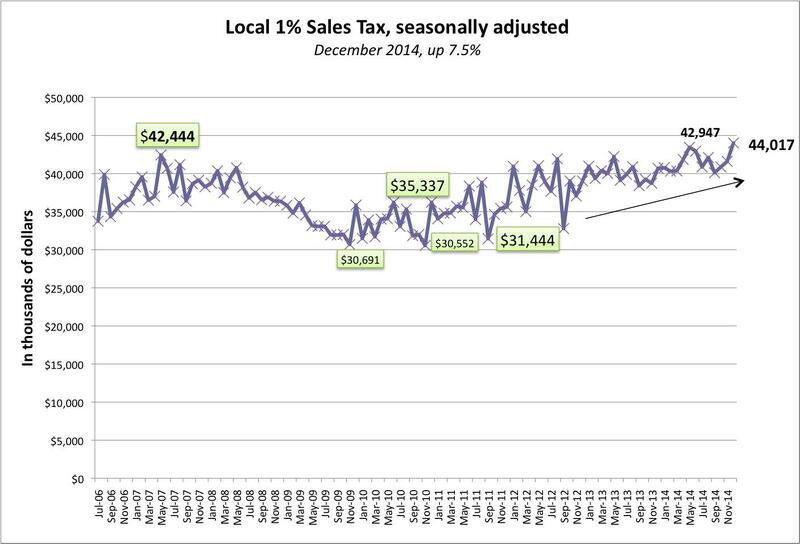 In December, the Tax Commission distributed $39.88 million compared to $36.9 million in 2013. 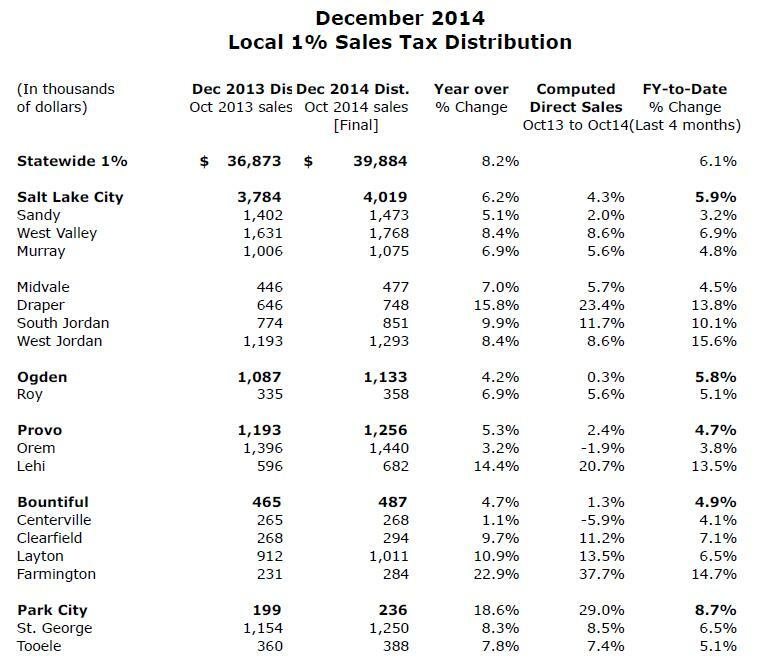 December’s 8.2% growth, representing sales from October, brings year-to-date growth for Utah’s cities up to 6.1% during the first four months of fiscal year 2014-15. In the U.S. sales from retailers rose 4.3% in November. Utah’s improving performance may be pushed by improving jobs and in some sectors better wage growth. It also may be attributed to the poor performance in 2013 as the federal government began to cut back on new contracts and laying off workers. In addition, copper mining has returned to pre-landslide production levels. In north Utah county, software companies are clearly expanding investment and commercial construction. This is partially reflected in Lehi’s computed sales increase of 20.7% for October.